PART 1: How Celebrities Lose Weight, Maintain Their Shape And Keep Belly Fat Off Forever. In this PART 2 of this series, we are moving forward. I want to show you EXACTLY how your body will burn fat when you are on a weight loss journey. A lot of weight watchers (yes, I mean you) don’t even know how this weight loss thing works, and this makes them fall for anything out there. A lot of people want to lose weight…But what is the BEST way to do it? Off the top of my head, I can count at least 30 different weight loss and fad diets out there. This many type of diets can make you feel overwhelmed and confused. Why Should It Be Confusing? The truth is, I understand what you mean…. The extra “Jiggly” fat that you have on your arms, your belly, your thighs etc, are basically excess sugar, that your body has stored away under your skin. This sugar comes from most of the carbohydrate based food that you eat on a daily basis, such as Rice, Pounded Yam, Granulated Sugar (in tea), Garri, Akpu, Pasties e.g. Meat Pie, Cake etc. When your body undergoes “activity” such as climbing the stairs, walking, swimming etc, your body automatically uses the stored sugar to give your body the energy to do those activities. See it more like when the petrol in your car gives your car engine energy to roll forward when you press the accelerator. Now, the more activity you carry out, the more energy (sugar) that your body burns to do that activity. And the more energy burn, the more your body shrinks in size on a daily basis, until it completely burns off the excess fat from your body. But that is not all…. There is a second factor that is responsible for 80% of the fat that you will lose from your body. And whatever you do, you MUST pay attention to it, or else, your weight loss journey will be fruitless. And that is the “FOOD” that you eat! 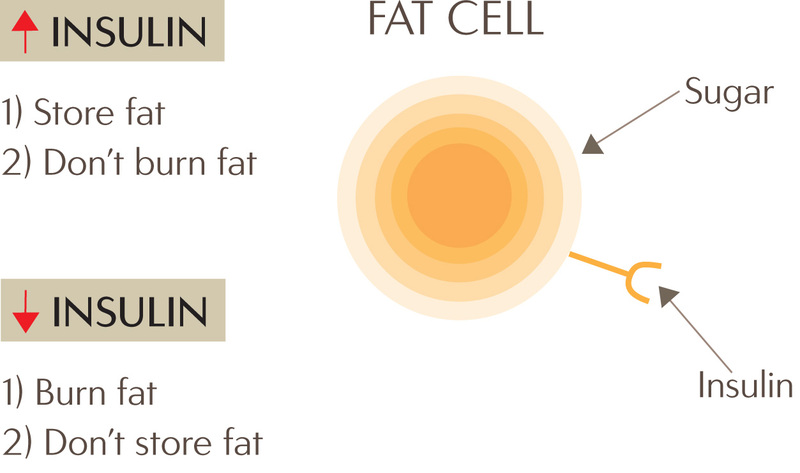 Your body automatically suspends it’s job of “using the fat” stored under your skin as energy. Instead, it starts to use the “sugar” in the food that you just ate as your body’s source of energy. 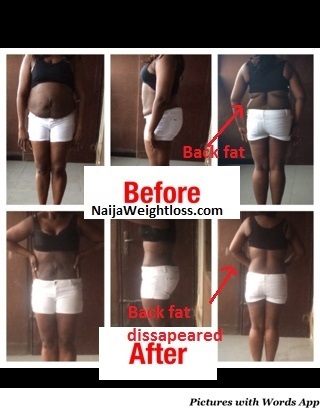 Your body will abandon the stored fat under your skin, and instead start using the energy from the sugar in the pounded yam or cake that you just consumed. And when this happens, your body will stop losing weight. This is the exact reason why a lot of people who cheat a lot on their weight loss journey never get result. I hope you get what I mean? So what is the best way to trick your body into using the fat stored in your belly, arms, thighs as energy even if you are still eating food on a daily basis. The key to doing that is for you to…. 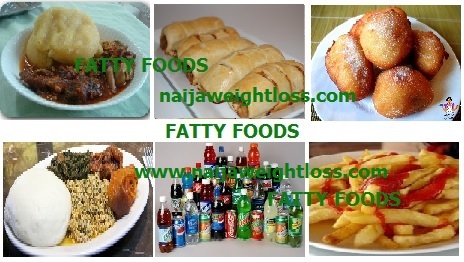 Eat delicious meals that are low in carbohydrates and sugar and are considered to be fat burning. When you eat these type of meals, the amount of sugar in them is very low. This means, your body will not have to switch to burning off sugar from the food you eat. 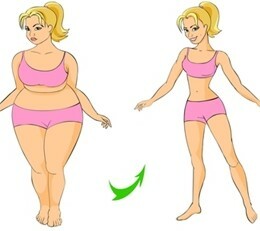 Instead, it will continue to use the fat under your skin to lose more and more weight. So what exactly are these meals? Don’t worry, I’ll tell you. But not today because I don’t want to make this newsletter to be too long. I mean, it’s long already. I’ll give you a list of 34 of these fat burning foods that will help your body burn more fat. I’ll also show you 5 delicious healthy meals that you can prepare using any of the fat burning foods that I have explained above that will help you lose weight. I am also going to introduce you to a new meal plan that will give you a rapid transformation from being “BIG” to getting your own “sweet 16” body within 4-6 weeks! Just keep an eye on your inbox at 8.am on the 31st October 2016 for it. I hope you’ve learnt a lot from this PART 2. I’d like to hear what you think of how the body burn fat off. So please leave me a comment below. I can’t wait to read from you. PART 3: The Best Weight Loss Diet For Burning Fat & Sculpting A Sweet 16 Figure That You Will Be Proud Of!